Since 2006, SurferMath has prided itself on it's team of professional, knowledgeable and compassionate tutors. All tutors on our staff have a four year degree, extensive experience tutoring/teaching students and strong command of their subjects. 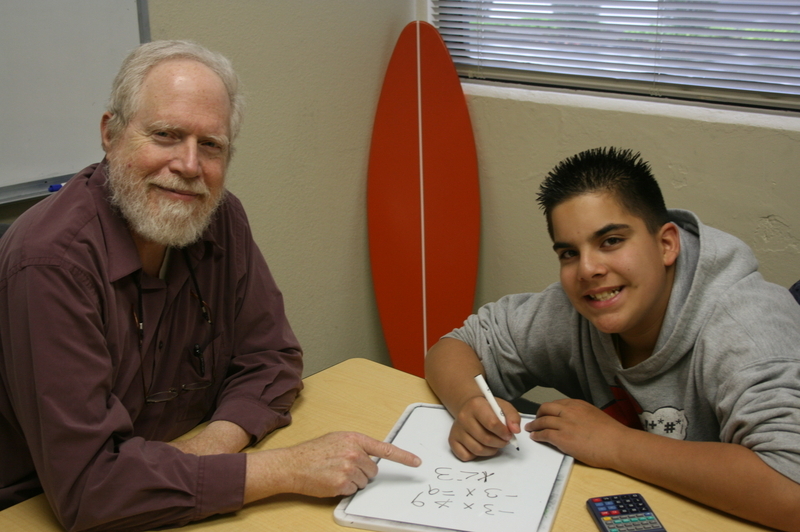 SurferMath tutors help students build skills and confidence in a positive and professional manner. We know everyone learns differently and experiences success according to a style of teaching that works best for them. Our tutors recognize this and come to each session with a variety of approaches to meet the individual needs of their students. ​We are a local service provider staffed by local educators. We were created and staffed "by Napa Valley educators, for Napa Valley students." ​Our staff receives ongoing training in new California Common Core Standards and can help you navigate your way through the new challenges they bring. Our tutors come to you and work around your schedule. Hour-long sessions allow plenty of time for instruction, homework, practice, review and test preparation. SurferMath tutors have the experience and resources to provide individual attention and extra support for students with IEP/504 plans, as well as for GATE/ALPS students looking for an extra challenge or enrichment. SurferMath can also provide structured curriculum to serve as an alternative to regular classroom instruction, or as support for home-schooled students and other independent learners. We are trained in Common Core! Please call ahead if you need to cancel a session. Twenty four hour advance notice is required to reschedule a session. Sessions missed without prior notification will not be rescheduled, refunded, or credited. If a student arrives more than 20 minutes late, it's considered a missed session.